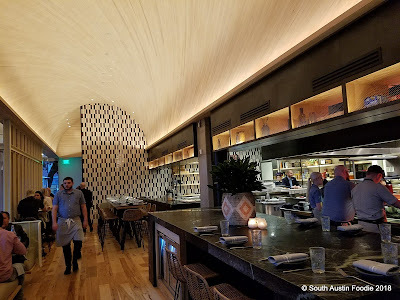 I went to ATX Cocina for happy hour/dinner on Friday night, and came out of it very pleasantly surprised. 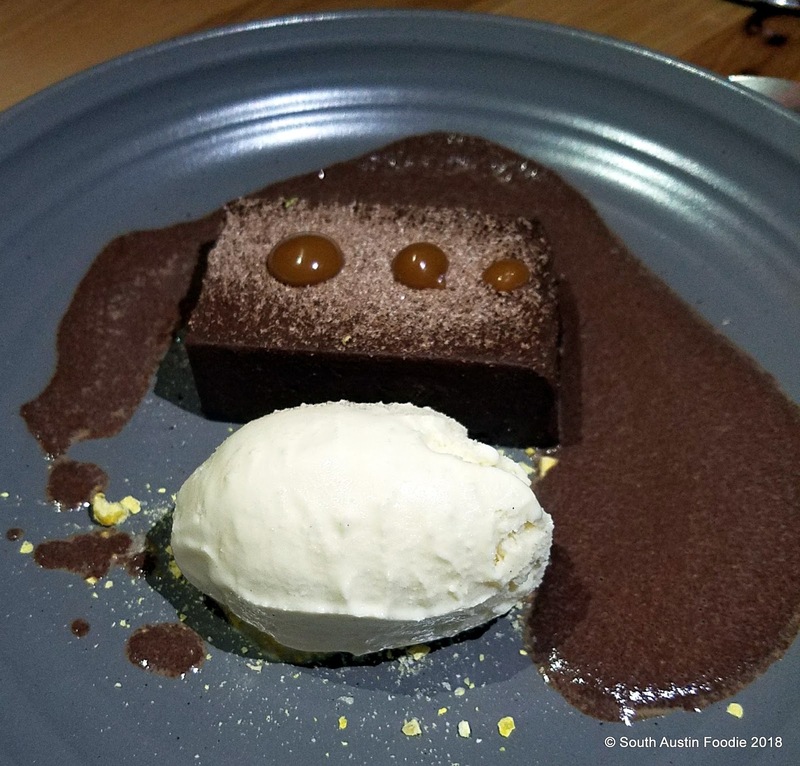 I wasn't so in love with some of the food at sister restaurant Red Ash on my visit in January, but ATX Cocina more than made up for it with outstanding food and service all the way through. 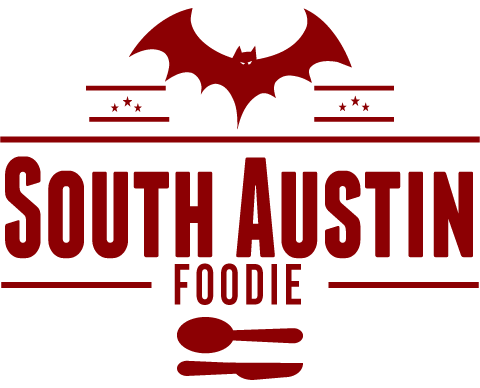 Chef Kevin Taylor and modern Mexican food have found a happy home in downtown Austin. 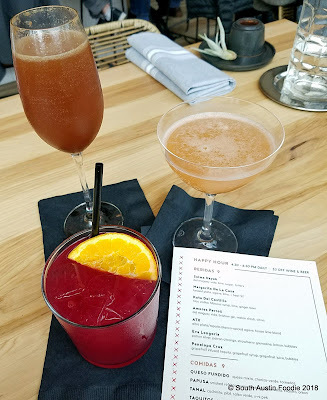 I made a last minute 5:15 pm reservation and my girlfriends and I figured we would try to have happy hour in the bar area if there was room, but otherwise we had the res to fall back on. The hostess didn't miss a beat when we arrived, immediately asking if we'd like to sit in the bar area for happy hour, which we happily did. 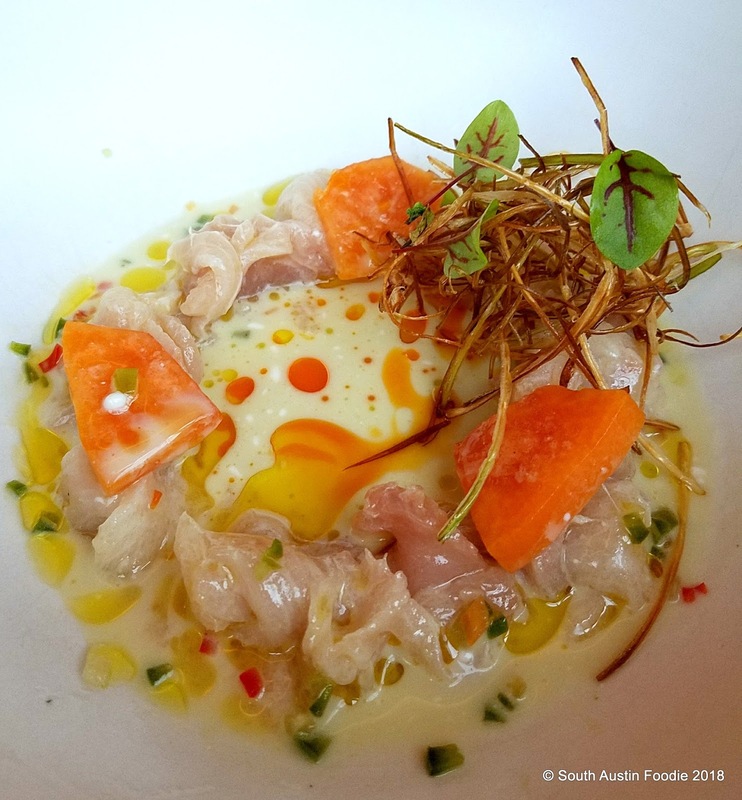 Throughout the experience, our waiter Norris was polished, informed, available and unobtrusive. Runners seamlessly brought dishes, cleared plates, and filled water glasses. 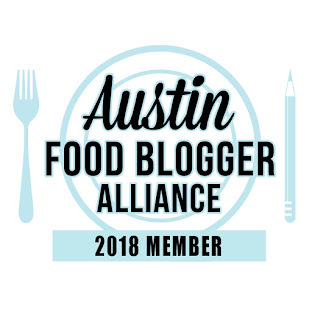 Many will be happy to know that the restaurant is completely gluten-free. No flour tortillas here! They get an heirloom corn from Mexico, treat it and grind it themselves to create their masa and tortillas. Here is the rundown of our extended happy hour. 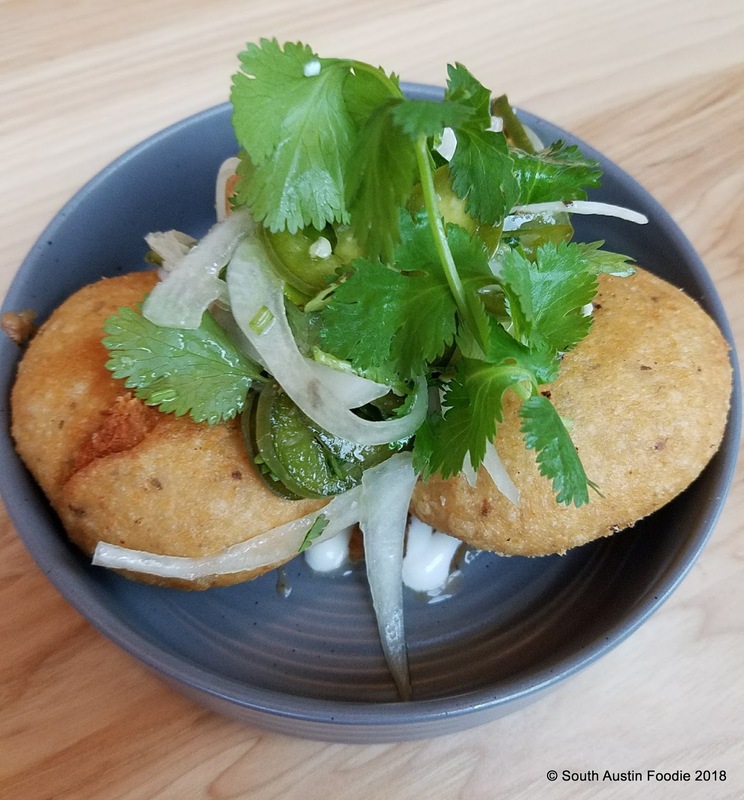 Papusas, with refried beans and cheese; the filling seemed a touch grainy, but the outer shell was nice. Queso fundido, which definitely is on the greasy side, but the cheese gets really nice and browned while sitting tableside in its own very hot vessel. 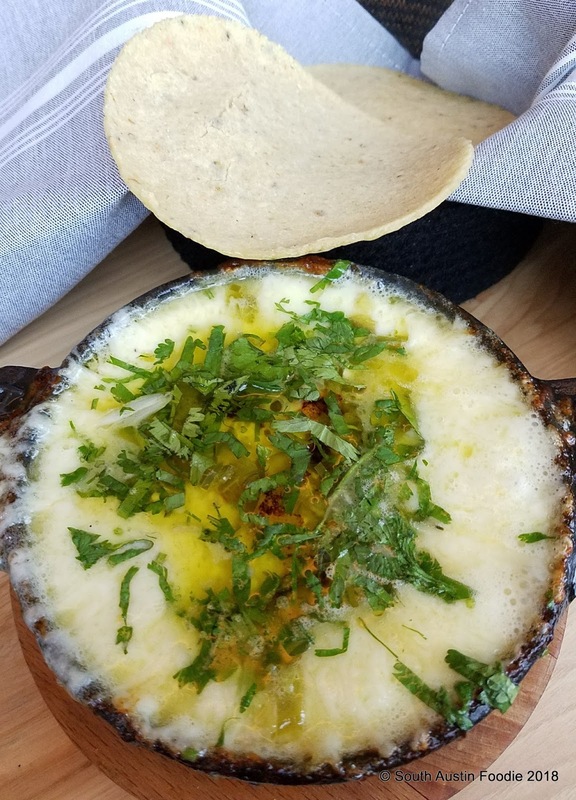 The the house made corn tortillas are wonderful; soft and pliable and not overly corn-y. Hamachi in coconut leche de tigre (citrus + herb coconut milk) with papaya and crispy leeks. Delicate yet memorable. We should have ordered another of these! 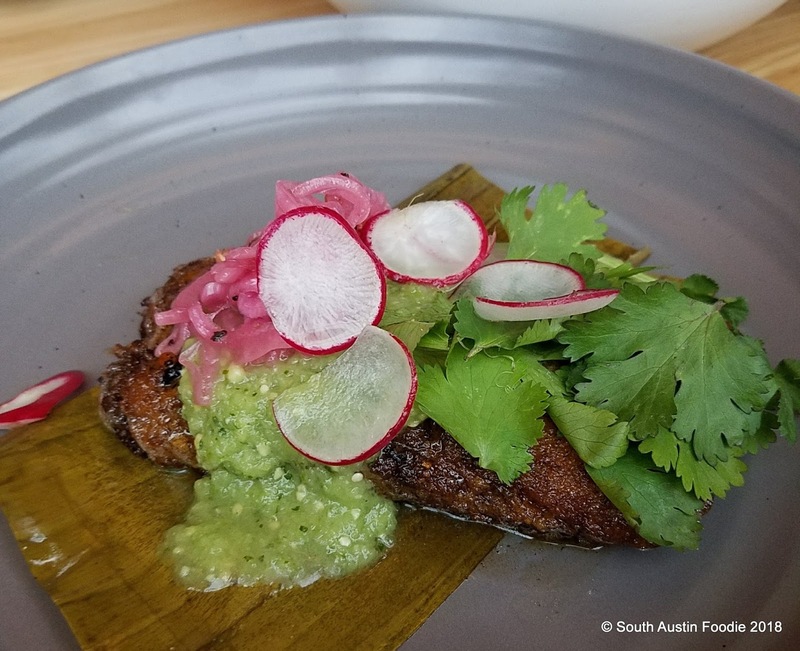 Cochinita pibil tamal with pickled onions, radish and salsa verde. More meat than masa, which was nice, and excellent flavor in the pork. 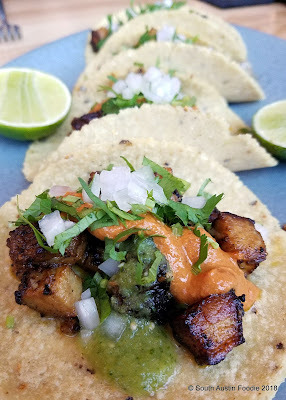 These pork carnitas tacos may have been my favorite dish along with the hamachi. Very tender and well-rendered pork had great texture and taste, and the entire combination with the salsas was messy but delicious. Served four per order. 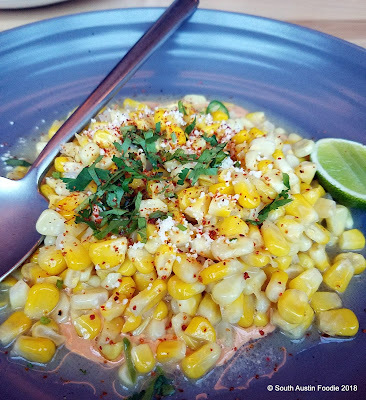 Esquites, or street corn, with smoked aioli (crema Mexicana), queso fresco, lime and cilantro. Nice big kernels with a good pop to them. Bunuelos with a butter rum sauce and a extra scoop of flan ice cream. The bunuelos were good, though a bit grainy because they are using corn meal. To me the sauce had almost an herbaceous quality to it that I couldn't quite place. I had to ask our server again what it was and he said it was buttered rum with traditional cinnamon and clove, which I didn't taste. Ice cream more than made up for it though. Choco flan with Mexican hot chocolate sauce and flan ice cream. 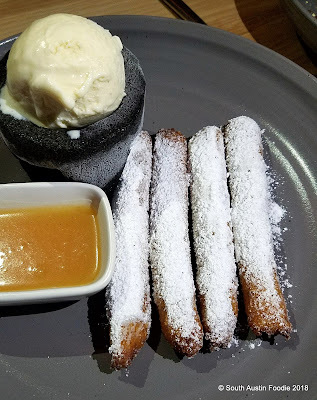 Okay, the best thing about these two desserts was the ice cream. I don't know if they are using crema Mexicana or what, but it was WAY more than just a vanilla ice cream. So good, as was this sauce. I don't think flan isn't the right name for this very dense concoction. "Flan" implies a custard that can be cut with a spoon, and while this tasted good, nothing about it was flan-like. Very beautiful modern interior, and while this photo doesn't reflect it, the entire restaurant was bathed in natural light when we arrived, making everything that much more attractive. The interior with its curved ceiling was designed by local architect of note, Michael Hsu. Favorite new place I have been to in a while, and I can't wait to go back!